Information for Intended Parents - Kinsey Law Group, P.C. As a mother via gestational surrogacy, I am passionate about helping my clients experience the joy and fulfillment of starting or growing a family of their own through third party reproduction. My knowledge and experience as a Maryland surrogacy lawyer and as an intended parent mean I am able to relate to all aspects of your surrogacy journey, and I know firsthand what you will go through and what you will need – understanding, ongoing support, guidance and a smooth process. My firm believes in personalized service for all clients, and I take an educational approach when working with you to ensure you fully understand why and how you should proceed. ​I take the time to listen to your concerns and answer any questions you may have. As a result, I have a better understanding of your situation and can help you develop a family building plan tailored to your wishes. Our caring and knowledgeable professionals provide legal counseling, guidance and support as you navigate the assisted reproduction process – from selecting the best surrogate to what you should do after the birth of your child. Choosing the right attorney to represent you can be challenging and sometimes confusing. My professional and personal experience (read my story) and my unique services are key to helping you move through the assisted reproduction process and achieving your goals. Kinsey Law Group, P.C. is not a general family law firm. I am devoted exclusively to assisting individuals and couples build and protect their families. I look forward to guiding you along your path to parenthood. Traditional Surrogacy-A traditional surrogate acts as both egg donor and surrogate. The surrogate is inseminated with either the intended father’s sperm or donor sperm in a process called intrauterine insemination or IUI. The surrogate is genetically related to the child. Getting started is easy. Call our office to schedule a confidential Family Building Planning Session. During your session, we will discuss many aspects of assisted reproduction and surrogacy and answer any questions you may have. It is our goal to ensure that you fully understand the process and the law and that you feel at ease. Once you are matched with a Gestational Surrogate (and Donor if necessary) and are in agreement on the terms of compensation and other relevant fees. It is now time to draft the contract. We will draft the contract to include all agreed upon terms and conditions. We help you structure your agreement with your Gestational Surrogate (and Donor if necessary) in a way to ensure your parental rights are fully protected. Not only do we draft agreements that comply with the law, but our agreements are designed to avoid problems that may arise and to better protect you in case a dispute should ever arise. Usually the Intended Parents have our firm draft the contract, but at times, the Gestational Surrogate’s attorney may be the better one for the job. In both cases, you, the Intended Parents, are expected to pay for all legal expenses. Prior to any medical procedures (medical protocol or medications taken), you will be expected to fully fund the Escrow account on behalf of the Gestational Surrogate that will be managed by a third-party Escrow Agent. These funds will be used to pay for the costs and fees agreed upon in the contract between you and your Gestational Surrogate. These fees include, but are not limited to, surrogate compensation expenses, medical co-pays, insurance costs, travel, etc. You should receive a statement itemizing the expenditures of each month. Our personalized support program gives our Intended Parents peace of mind and as smooth a journey as possible. We understand how important it is to receive timely calls and updates. Accordingly, we provide a broad range of support services for our Intended Parents and their families, from the moment you contact our office to the birth of your baby and beyond. The time frame of possible conception varies. Cycles are synchronized between the Gestational Surrogate and the egg donor (whether it’s the Intended Mother or a separate Egg Donor) by the IVF physician of the Intended Parents’ choice. The embryo transfer generally occurs within four to eight weeks from the date that the Gestational Surrogate and Egg Donor begin medications. The average contract allows for up to three attempts. We all hope that the first attempt at achieving pregnancy is successful. The Gestational Surrogate will be monitored by the infertility clinic of the Intended Parents’ choice for the next few weeks before being released to the obstetrician of the Gestational Surrogate’s choice. Typically, before the birth, any legal filings or procedures will take place to establish the parentage of the baby. This varies from state to state and we will guide your through this process. Congratulations! In most cases the Gestational Surrogate, along with her family, share this very exciting and rewarding moment with the Intended Parents. After delivery and the release of the baby from the hospital, the Intended Parents leave the hospital as a complete family. The Gestational Surrogate goes home to her own family with the deep satisfaction of having been responsible for her invaluable role in helping to create a much-wanted family. 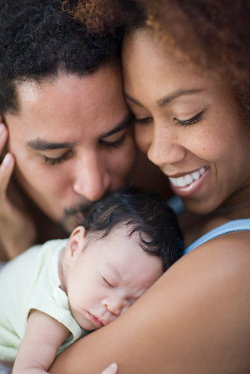 After the birth of your child, we understand that you will do any and everything to protect your little one. That is why our program offers intended parents a guardianship plan and an estate plan to give you peace of mind that your minor children will be taken care of if anything happens to you. Your guardianship plan will ensure that your minor children are cared for by guardians you choose if you are ever in an accident or if you become incapacitated. Most parents do not realize that this is also a very important time to create an estate plan or revise your current estate plan to ensure your little one is well protected in the event something happens to you. We will work with you to provide a straightforward, easy to understand family protection plan that protects your minor children and assets and prepares your family for the future. Contact us today for more about estate planning discounts for Intended Parents. A detailed list with costs estimates for legal fees, clinic fees and surrogate mother fees will be provided upon request. Intended Parents are responsible for all expenses such as travel, medical fees, child care, medications, attorney’s fees, phone calls, etc. To learn more about our services, please call us at 301-968-1630 and schedule a call with Nicole Kinsey White. Enter your name and email address below to receive your Surrogacy Information Package.